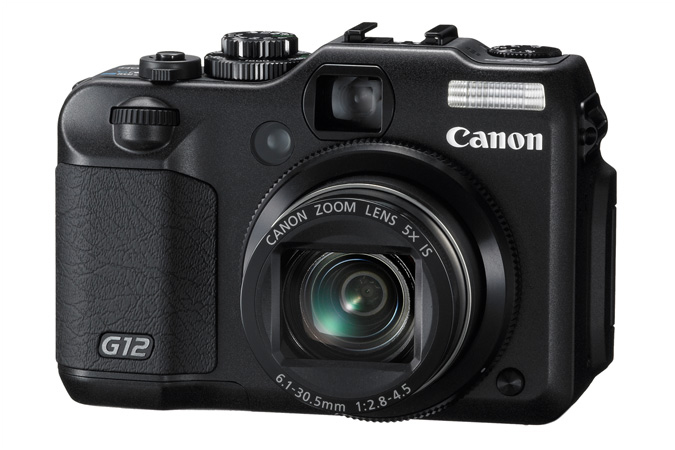 The line between point-and-shoots and DSLRs continues to blur with Canon’s new PowerShot G12, unveiled Tuesday. Like the G11 before it, the G12 melds the manual control of a DSLR with the smaller form factor of a point-and-shoot cam, and this year, picks up HD video recording for the first time ever. 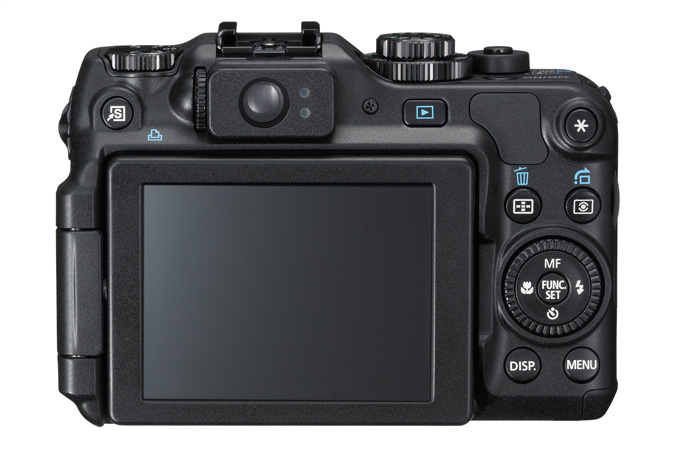 From the front, the chunky black cam looks almost indistinguishable from its predecessor, save for a new front-mounted mode dial, which mimics a DSLR by offering quicker adjustments to various camera settings. Specs, including a 10-megapixel sensor, 5x optical zoom lens, 2.8-inch, 461K-resolution LCD display, and DIGIC 4 image processor remain unchanged, but now the G12 shoots 720p HD video, and comes with an HDMI output for playback. It also introduces Canon’s Hybrid IS image stabilization, and a new HDR mode that takes three different exposures of the same scene and combines them in the camera – a feature most recently seen in the new S95. The G12 will sell for $499.99 – the same price as its predecessor – when it hit shelves in October.